Natwest T20 Blast Finals Day is a showpiece occasion. It’s a day that thrusts county cricketers into the limelight after weeks of toil away from the public glare. That brings with it a certain pressure but also presents an opportunity for the best county performers to catch the eye of international selectors. 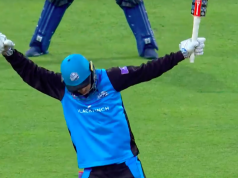 As Lancashire claimed their first T20 title on Saturday, one man thrust his hand higher than any other and that man was left-arm spinner Stephen Parry. He’s not a total unknown at international level. Parry has two ODIs and three T20 Internationals to his name. He’s been on England’s radar before but has never been viewed as a serious prospect on the international scene. His performances, not just on Finals Day, but throughout the Blast this season must change that view and elevate Parry to become a fixture in England’s limited-overs side. Parry doesn’t play four-day cricket for Lancashire (something he’s not too happy about) but in white-ball cricket he’s possibly the first name on the team sheet. T20’s are where he particularly excels. Parry has an ability to outthink and outmanoeuvre batsmen. He doesn’t spin the ball a huge amount but watches the batsmen like a hawk and adjusts his line and length depending on the movement at the other end. Similarly, Parry beats players in the air, varying his flight and pace and that makes it difficult for batsmen to get after him and throw him off his line. 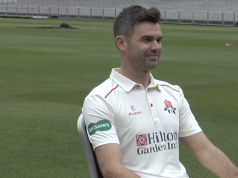 One of the major reasons for Lancashire’s victory this year was their trio of spin bowlers who dragged the game back at the end of the powerplay by taking wickets and keeping the game tight. Parry lead that trio and was backed up by Steven Croft and Arron Lilley – a man who should come on England’s radar in years to come. The Manchester-born Parry is no rookie. At 29 and with 92 domestic T20 games under his belt, Parry is an experienced campaigner who has learnt his craft and how to adjust his game in the shortest format. 2015 has been his best season and his efforts on Finals Day, where he was man of the match in the semi-final, was no fluke. Parry was the joint-leading wicket taker in the competition alongside teammate James Faulkner. He took 25 wickets at an impressive average of 15.68 and a tight economy rate of 6.87. Those are impressive stats by anyone’s standards and are the kind of figures that simply have to make the England selectors sit up and take note. England are not blessed with a plethora of spin options. The two men in the T20 squad against Australia, Adil Rashid and Moeen Ali, have only played seven Blast games each this season due to their international commitments. But in those games, Rashid took just six wickets and Ali only managed to take five. For the upcoming series against Pakistan and the T20 World Cup in India next year, England will need two genuine frontline spinners. Parry’s performances this season must have beaten off competition from the likes of Danny Briggs and Zafar Ansari to force his way into those squads and fight it out with Rashid and Ali for a starting spot. Moeen Ali in particular should come under pressure from the Lancashire man when the squads are named. Forget what Ali offers with the bat, England need a genuine spinner and Moeen is not that. His knack of bowling two or three short balls an over gets enough treatment in Test cricket and will be punished even more severely in the limited overs formats. Moeen doesn’t have any real variations in pace or flight and is easy for batsmen to line up. Comparing Parry and Moeen on their domestic T20 stats is quite simple. Both have played the same number of matches, 92, but Parry has taken 98 wickets compared to just 53 from Moeen. Parry boasts a better average and more impressive economy rate as well. The difference between the two is that Parry is an out-and-out bowler, a man who has grown up to work on his craft and improve his skills as a spinner year on year. Ali is a batsman first and foremost who bowls a bit. And that works fine in Test cricket when England can bowl him sparingly. In one-day cricket they can’t carry passengers and, particularly in the UAE and in India, England need a frontline spin option to bowl tight overs and offer a wicket-taking threat. A pairing of Rashid and Parry would give them that. The right-arm leg spin of Rashid and the left-arm spin of Parry would provide a good balance and those two spinners are both capable of picking up wickets while bowling with a tight economy rate. In the Blast this season, Rashid and Parry both went at under seven an over, while Ali had an economy rate of 7.58. If England ignore Parry then it would be an admission that the county system is not doing its job. 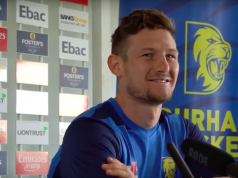 He has consistently proved himself to a canny one-day bowler and this is the season he has thrust himself forward and inspired his side to T20 Blast glory. Parry has been the best spinner on the county scene in the shortest format by a considerable margin and if he does not get a place on the plane to the UAE, the selectors would be guilty of appalling short-sightedness.